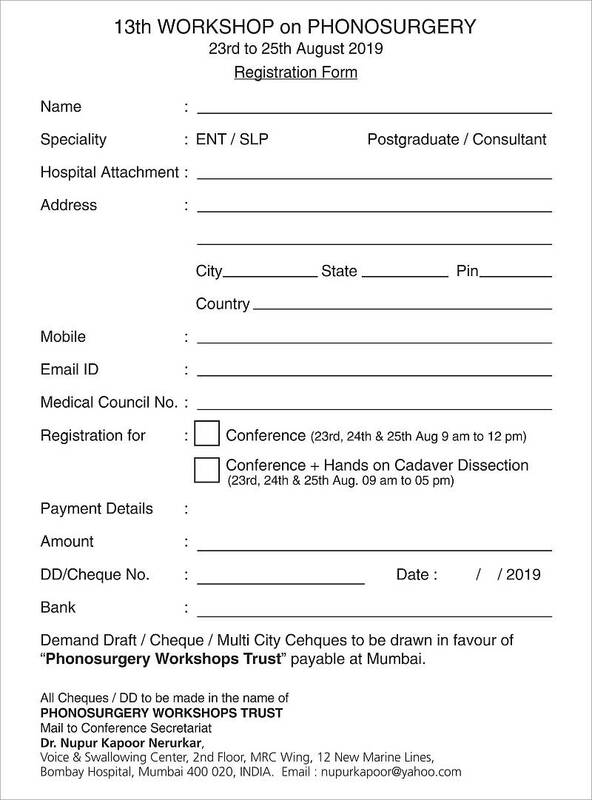 Otolaryngology Update: 13th workshop on Phonosurgery, 23rd to the 25th of August 2019, Mumbai. 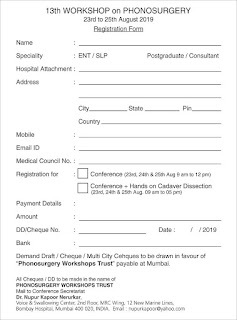 13th workshop on Phonosurgery, 23rd to the 25th of August 2019, Mumbai. The 13th workshop on Phonosurgery will be held from the 23rd to the 25th of August 2019 in Mumbai. 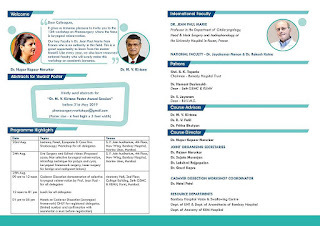 Besides cutting edge lectures,panels, symposia, crossfire,Live surgery and edited videos at Bombay Hospital,there will be an opportunity for all delegates to attend the interactive stroboscopy workshop as well as the selective laryngeal reinnervation surgery demonstration, on a fresh frozen cadaver, by Dr Jean Paul Marie from France, who is a master in this area. The hands on fresh frozen Cadaver Dissection Workshop for delegates registered for the same will be on the afternoon of the 3rd day at KEM Hospital. 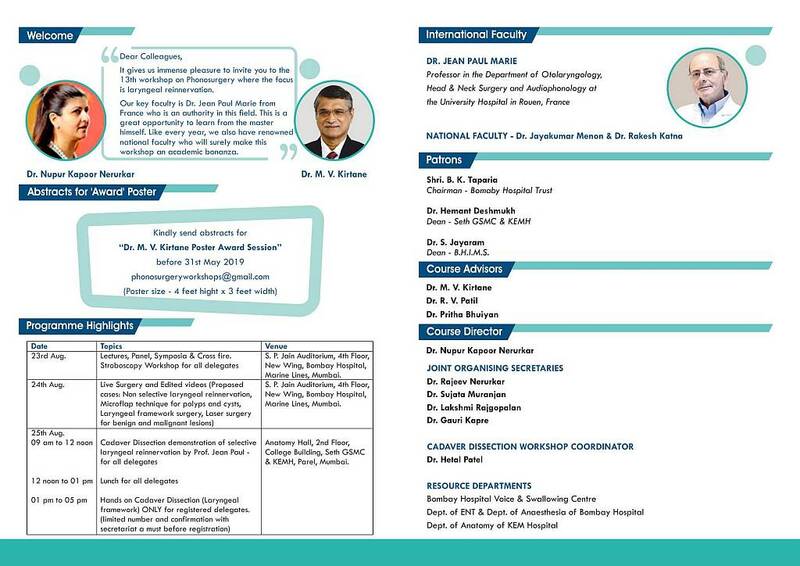 For registration kindly view the attached brochure and registration form. 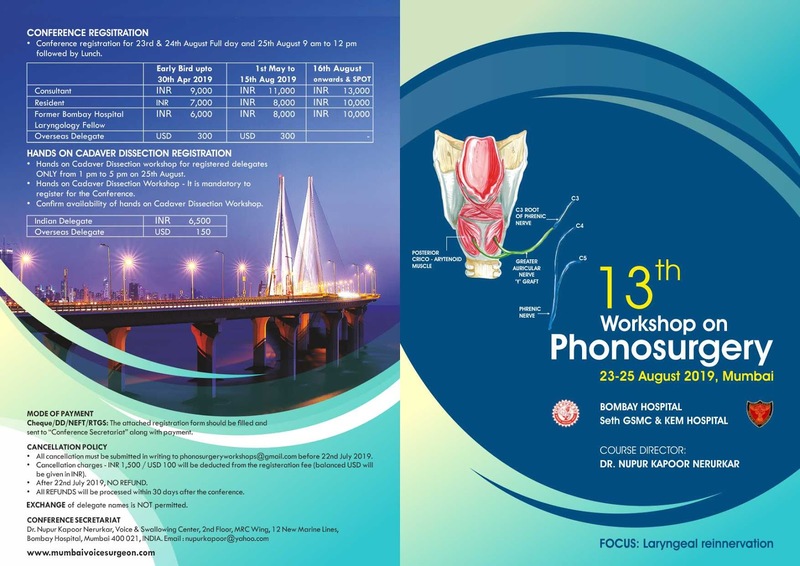 Associate Editor; Logopedics, Phoniatrics Vocology (LPV) Journal,U.K.